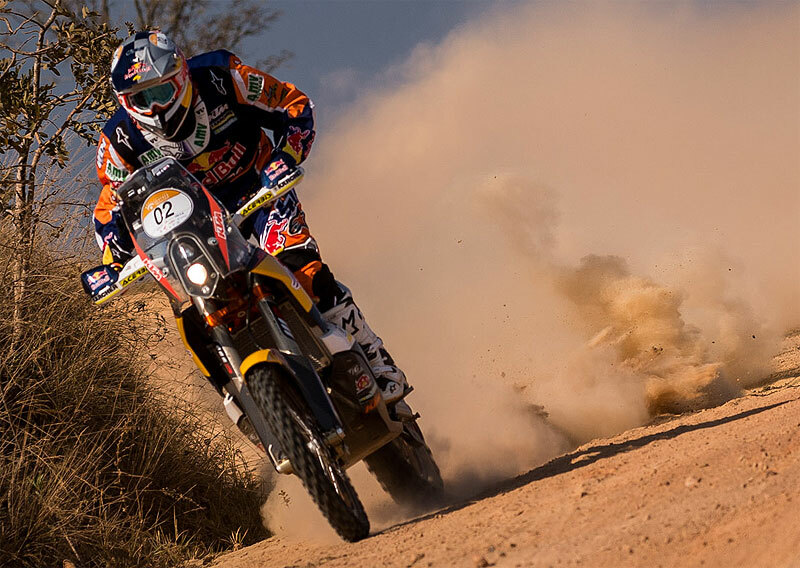 Rally dos Sertões: Marc Coma wins again in Bikes and remains the leadership. A hard and technique special in the third stage of the 22nd edition of the "Rally dos Sertões" was disputed on Tuesday (26th). 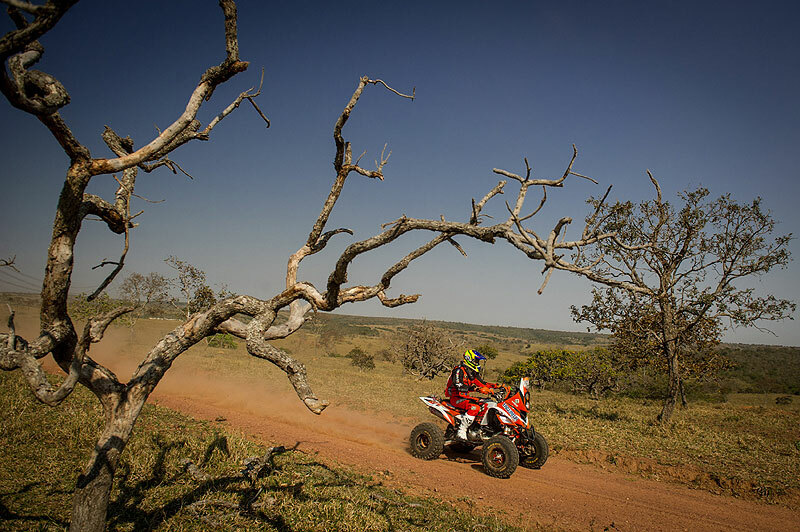 Starting from Catalão, the stage finished in Paracatu, which receives the Rally for the first time in history. There were 360.45 km in total, with the largest special edition disputed so far in 2014 (209.86 kilometers). In bikes, the Spaniard Marc Coma (KTM Red Bull Factory Team) won again. The leader of the FIM World Cross Country Rally and the Rally dos Sertões champion in 2010 closed the special with the time of 02:36:10 hours. 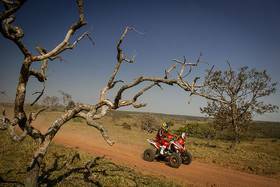 The Brazilian Jean Azevedo (Honda Mobil de Rally) was the first runner-up, followed by the Portuguese Paulo Gonçalves (Team Honda HRC). Overall, Coma - who also won the 1st stage - leads with 05:18:37, 3:19 minutes lead to Gonçalves and 3:34 mins to Azevedo. Thirty-six motorcycles remain in the dispute. "It was a little bigger stage, a hard day, where I was trying to take as much time to recover. It was a good stage, but always difficult to find an appropriate pace," said Coma. For the experienced Jean Azevedo, who is disputing his 19th Sertões, it was a day with the characteristics of the event. "It was a longer day, with characteristics similar to those of yesterday, with less bumps, curves and slow sections. It was a typical day of Sertões and fun to ride," Azevedo said. Fourteen quads completed the 3rd stage on Tuesday. The Brazilian Marcelo Medeiros (Taguatur Racing), who had won the prologue in Goiânia, got the victory in the 3rd stage with the time to 02:46:58 hours. With the result, the rider also took the overall leadership with 1:57 minutes advantage for Robert Nahas (RNN Sports), who finished fourth on Tuesday, and 3:45 mins ahead of Polish Rafal Sonik (Sonik Team), who was third in the day. 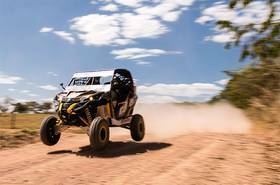 Twenty UTVs remain in the fight for the title of the Rally dos Sertões. The victory in the 3rd stage was with André Sawaya and Eduardo Costa (S2 Rally / Bike Box), who recorded the time of 02:51:02 hours. The category is also well balanced and not repeated winners in the first stages. Denisio Casarini and Eduardo Shiga (Casarini Can-Am) were the first runner-up and are in the overall leadership, but with the duo Rodrigo Varela / John Arena (Divine Stove Rally Team) just 30 seconds behind.